We design market leading business solutions for the workplace that cultivate creativity and productivity, extending business performance. We increase collaboration so people can achieve their best everyday. We believe that when we work together, we can do better business. As one of our valued partners, you'll receive all the support and tools you need to grow with us. After all, your success is our success. Sign in to access exclusive Logitech Partner resources, tools, opportunities and support. Great partnerships are about creating new possibilities. Our priority is to provide you with the tools and the support you need to provide valued VC solutions that meet and exceed customer expectations. Partner with the market leader in video collaboration. Logitech's innovative products and solutions open doors and delight customers. Logitech's Go-To-Market approach is built on partnerships. We believe the ultimate customer value and satisfaction can only by achieved by working together with our partner community. We understand that partnering only works when it's easy. We are committed to being easy to work with while providing the tools and solutions that will make you stand out. 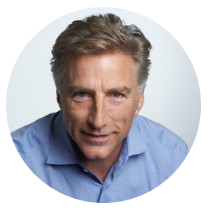 "At Logitech we have a 36 year history of partnerships with other companies. We are used to being collaborative, small, and quick(most of the time). We know that we can never be effective without great partnerships so we try to be a great partner." © 2019 Logitech. All rights reserved All Rights Reserved.